Mitsubishi make some high quality vehicles. They are well put together which is seen in their reputation for excellent reliability. The Outlander is no different. If you think the Outlander looks familiar Mitsubishi also make a couple of other cars in it’s Dutch factory for two European car manufacturers: the Citroen C Crosser and used to make the Peugeot 4007 until it was dropped from Peugeots range. 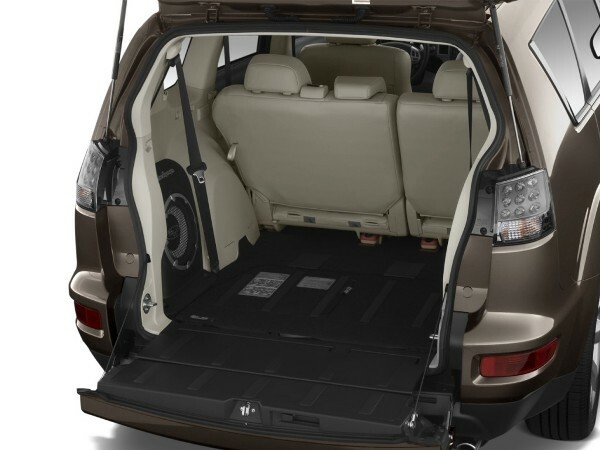 Whilst many seven seater cars have third row seats that are ideal for children and would only accommodate adults for short journeys the Outlander’s boot seats are very small and uncomfortable and are really only suitable for the odd occasion when you need to carry extra children. They are also difficult to put up and fold down. The tailgate has a section at the bottom that folds out flat which makes it great for sliding large objects in or sitting on it and enjoying a cold beer on a hot summers day! Out on the road the 2.2 litre diesel pulls the Outlander along with ease and feels smooth and powerful. The firm suspension keeps body roll to a minimum around corners and it seems more like driving a car than a large 4×4. Mitsubishi offer the Outlander as a two or four wheel drive and if you opt for the four wheel drive it is just a case of turning a knob to engage it. Many cars have a bewildering choice of engines. Well there’s no such problem with the Outlander as here is only one engine available. But you wouldn’t really need any other one. It is a 2.2 litre diesel with variable valve timing which means you get good economy when driving normally but have the power at your feet when you need it. This engine transports the Outlander to 60 miles per hour in just 9.8 seconds and has a top speed of 124 mph. You can opt for an automatic gearbox which is slightly slower with a 0-60 time of 11.1 seconds and a top speed of 123 mph. There is an impressive range of safety features as standard on all versions in the Outlander range. These include drivers and passengers front and side airbags and curtain airbags for the front two rows. Braking safety features including ABS, Brake Assist and traction control. There are ISO-Fix fittings for child seats. Hardly any road noise encroaches on the well insulated cabin and the diesel engine is quiet as well. The seats are comfortable but the middle seat on the middle row is narrow so only suitable for children as are the boot seats which are very low to the ground and very cramped. The Outlander is well built and the cabin is made using quality materials so should stand up to some heavy use. Mitsubishi has an excellent reputation for reliability so expect few problems with the Outlander. The car also comes with a three year warranty. Despite being a large heavy vehicle and having a 2.2 litre diesel engine this car is remarkably fuel efficient and manages over 44 miles per gallon combined on the four wheel drive version. If you go for the two wheel drive option you can increase this to 46.5 miles per gallon. Car tax prices aren’t bad either for a car of this size. The four wheel drive six speed manual option emits 169 CO2g/km which puts it in band H costing £195 per year. 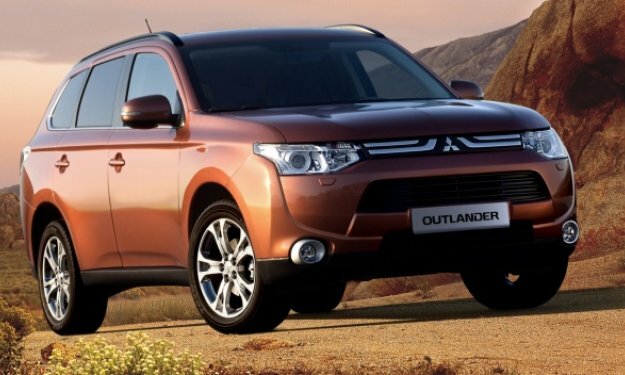 Mitsubishi also offer a three year servicing plan on new Outlanders with a total cost of £600 and include breakdown cover for free. Servicing is required more frequently than most cars at every 9,000 miles. 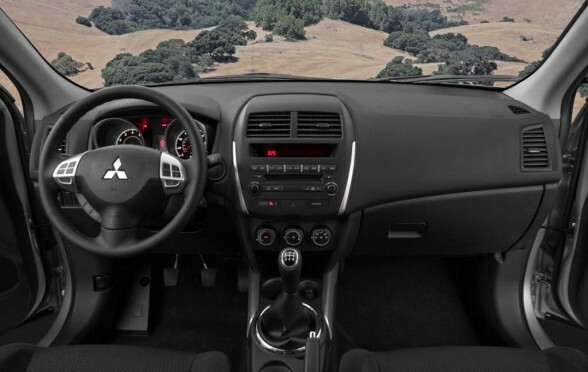 The Mitsubishi Outlander is a very well made car which is great to drive. It has an excellent diesel engine which gives great performance and fuel economy. However it is expensive compared to rivals, a point which is brought home by the fact that you pick up a Citroen C-Crosser for less. And this is essentially the same car with a different badge. It is also only suitable as a seven seater for very occasional trips. But if you can accept all this it is still a great SUV. There is also a new model due out at some point in 2012.